Home/noisy office/A Day without Sound in the Workplace? In just one short month, it will be May (already?) Springtime has inspired countless songs, but not everyone has the chance to hear these lovely melodies. A full 12% of the US population suffers from hearing loss and can’t fully enjoy the wonderful world of sound. That’s 38 million people! While hearing loss can often begin at birth or occur later due to illness or aging, more than 25 million people in the US have noise-induced hearing loss. Because this problem is so widespread, May is designated as “Better Hearing Month”. As a reminder that employers and employees should pay more attention to noise hazards, Miracle-Ear Foundation and 3M have put together a hearing loss prevention campaign. They call it “One Day without Sound”. On May 1st, 2014, they are asking people everywhere to remove sound from their lives (as much as possible) for one full day. Can You NOT Hear Me Now? The soundless day provides an opportunity to educate communities and employers about the impact of loud noise. 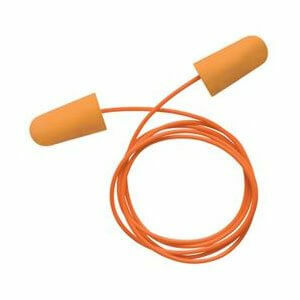 Participants can register at onedaywithoutsound.org to receive more information and prevention tips along with a pair of ear plugs that greatly reduce perceived noise levels. Slip these in your ears, and you’ll get a small taste of what it’s like to have noise-induced hearing loss. That certainly won’t make it possible to fully understand the frustrations of actual hearing impairment, but it may raise awareness about how much we take our good hearing for granted. More than 30 million Americans are exposed to potentially harmful sounds at work. That’s one very good reason to make sure your workplace has an up-to-date noise abatement plan. However, it’s not just the dangerous levels of noise that can be a problem. Many employees report high stress levels and difficulty concentrating from prolonged exposure to phones ringing, coworkers talking too loudly, or just the general hustle and bustle of the office. Our desktop panels and cubicle wall extenders help limit these chronic annoyances so employees can enjoy their workday more. Think of our OBEX panels as ear plugs for your employees’ workstations!